The Spring season is quickly approaching and we at West Tampa Wolves are trying to make this Spring even better than last year. The Spring is a competetive season playing other competetive programs in the greater Tampa Bay Area!! The Spring season will begin January 10th, 2018 and continues through April 2019. 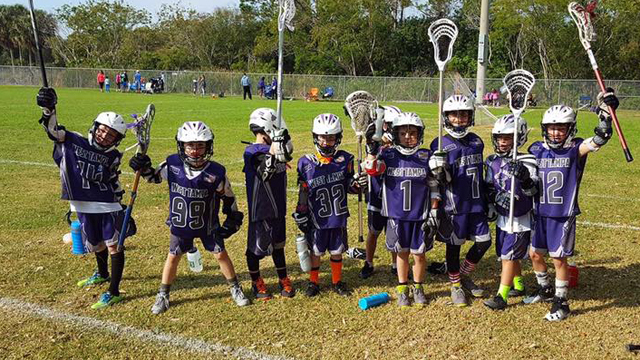 This program is designed for the first time player (VPK-K-1st grades) as an "introduction" to this amazing game of Lacrosse. All practices will be on Thursday's for 1 hour at Keystone Prep HS. Want to come try this amazing game? Email us at to let us know that you'll be coming to a practice. Don't worry, we'll bring along all the equipment you'll need! You will need a US Lacrosse number! This will provide us with insurance for every player as well as an unlimited amount of resources and info to help both you and your child become a more educated and developed lacrosse enthusiast. you’re gonna bring something different to this game. Every child can play this game."